There is lots of planing! 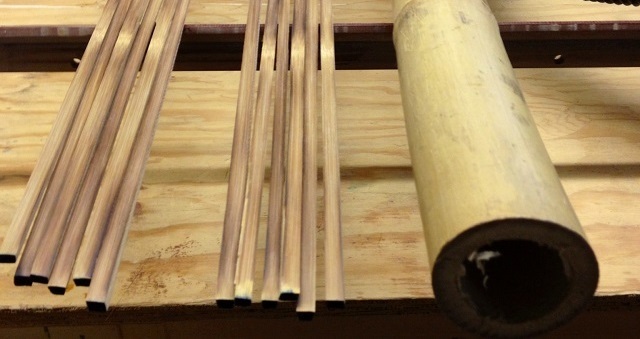 We are very excited to offer bamboo rod building classes at the Farm for 2014. 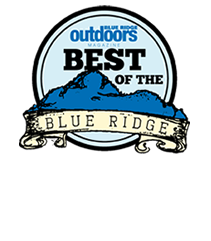 Situated at the gateway to the Shenandoah National Park, Rose River Farm is a great venue to teach others how to craft their very own split cane bamboo fly rod. Your instructor will be master cane rod builder Jerry Nonnemacher. Jerry, a chemist by training, is a graduate of Juniata College and spent his college years fishing the famous central Pennsylvania streams like Spruce and Spring Creek. He held Executive Sales positions with Goodyear and later started and served as CEO at several successful companies in the printing and laminate industry. Jerry learned to build rods from the late George Maurer who is recognized as one of the most influential rod builders of the 20th century. He spent many months working side by side with George learning all aspects of rod building. In fact, the cane we will be using was hand selected by George in China many years ago. 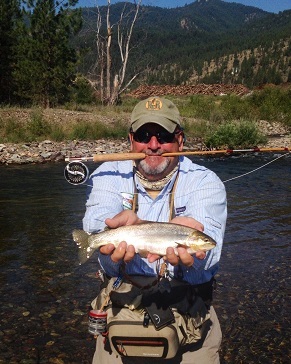 Jerry has a relaxed and casual hands on style that will instantly make students feel at ease-- and he will work with you every step of the way as you complete your rod. 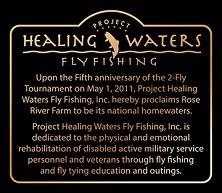 Each student will build a 7 1/2' 2 piece, 4/5 WT, 2 tip fly rod over a five day period with all materials and tools supplied. Each participant should bring a good pair of leather gloves. Some knowledge of woodworking and use of hand tools is helpful but not necessary to build your own bamboo rod. All students will have a private bedroom with private bath. We will have two students per Cabin so you will share with one other student a kitchen and living room. 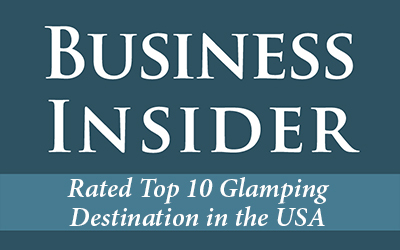 See the cabins page of the Farm website for more details on our luxury cabins. We will provide continental breakfast day 2 -- 5 (if you desire eggs, bacon etc there is a full kitchen in your cabin), lunch day 2 -- 4, and dinner Day 1,2 and 4 (day 3, the day we will be fishing the Farm, we will leave open for you to prepare your own dinner in the cabins after fishing or visit one of our local restaurants). Day 1 - we will review each student's knowledge and skill level and review the building process from start to finish on a cd. Then it's right in to learning how to pick culms, flaming and splitting strips, working with the different equipment and setting up and planing strips. Class will start at 1:00 pm on day one. Day 2 - more of the same as we plane the strips and set up the glue binders and glue up the rod pieces, heat treat, sand and cut to length, lapp the ferrules and ferrule stations, glue up components on the rod and get ready to mount the guide set. Day 3 - it's a day to learn wrapping techniques and catch everyone up to the point that we get a first coat of varnish on the wraps. Then it's off to do a bit of fishing on the private stretch of the Rose River. Day 4 - we will spend the day learning to finish the rod, prepping for dipping and getting the first coat of varnish on the rod. In the afternoon, those who would like can try their hand on some Brookies in the Shenandoah national Park. Day 5 - we will prep the rods for the second coat of varnish and have an evaluation review of the class and take pics of the participants and their rods. Class will end by 12:00 noon. 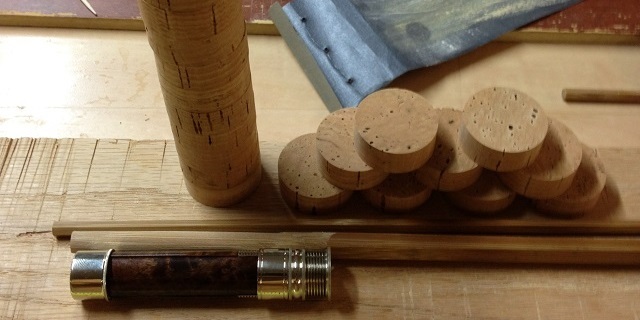 All rods after curing for several days will be shipped to each participant in a rod bag and tube. Upon graduation from the Rose River Outfitters Bamboo Rod Building School you will have all the skills necessary to build rods on your own. As a graduate you will also be entitled to buy, at a discount, rod building supplies and equipment. Graduates will also be allowed to purchase, pre cut and rough milled and tapered, presentation rod grade Tonkin Cane rod strips. Jerry ordinarily does not sell these precut strips. 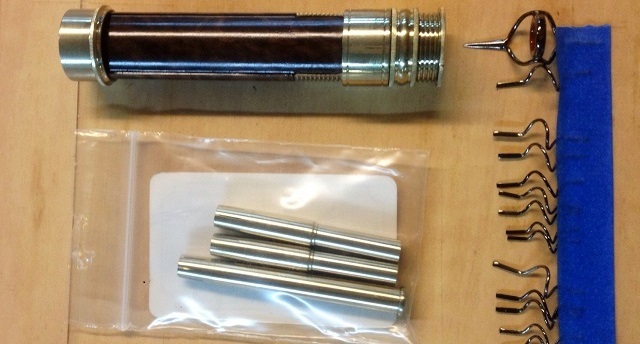 They make the rod building process simpler and assure the highest quality finished rod. We have scheduled 2 classes so far for 2014 - February 23-27, and March 16-20. All classes are limited to just 6 students. The cost including all rod building materials, accommodations and meals listed above is $2,500 per student. Sorry, all are classes are currently full.